Today, we’re excited to share a great surgical case study. In this HD surgical video, PD. Dr. med. Henning Frenzel provides step-by-step guidance of his techniques for implanting the VIBRANT SOUNDBRIDGE VORP 503 Middle Ear Implant. 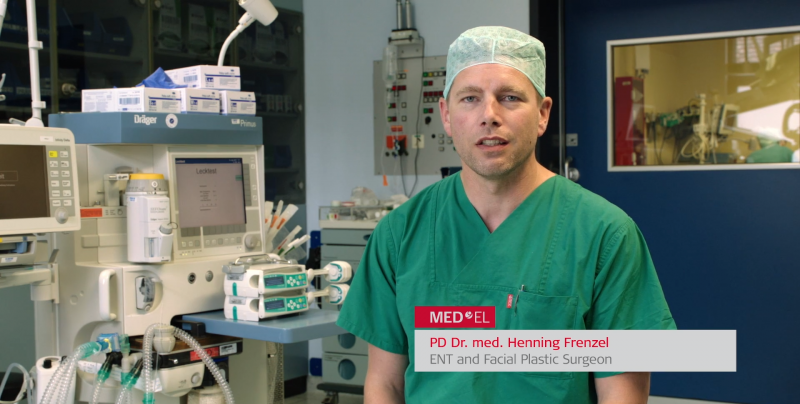 Dr. Frenzel is an ENT and facial plastic surgeon at the ENT Center Lübeck, Germany. The video was recorded at his previous employer (University Hospital Schleswig-Holstein). Dr. Frenzel narrates the video to provide detailed guidance through each step of the procedure. Together with the quality & clarity of the HD video, this case provides an excellent view of the middle ear structures, surgical landmarks, and surgical techniques. Dr. Frenzel takes care to demonstrate each anatomical landmark for this surgery and provides helpful additional insights to consider for future pinna reconstruction. In this case, the patient is an 8-year-old girl with conductive hearing loss caused by bilateral microtia and atresia. She has used a bone conduction headband since birth. 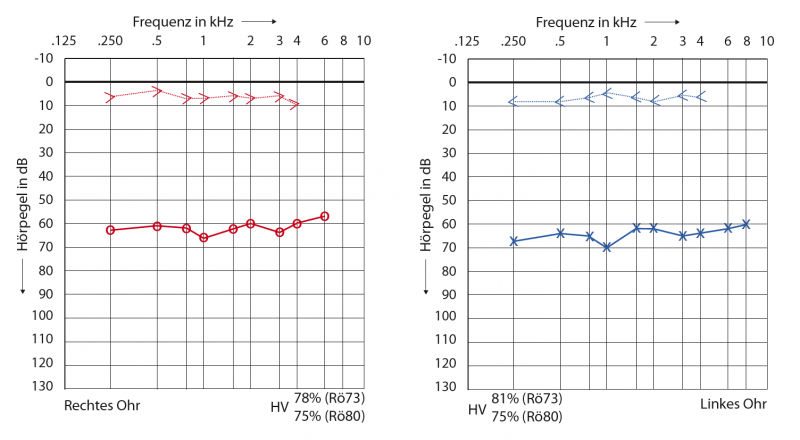 Pre-operative audiogram shows severe bilateral conductive hearing loss. The VIBRANT SOUNDBRIDGE was chosen to provide a reliable, permanent solution for binaural hearing. For this patient, sequential bilateral VIBRANT SOUNDBRIDGE active middle ear implants were chosen to provide a permanent and reliable binaural hearing solution. Dr. Frenzel is utilizing the VIBRANT SOUNDBRIDGE with a CliP coupler to attach the FMT to the head of the stapes. 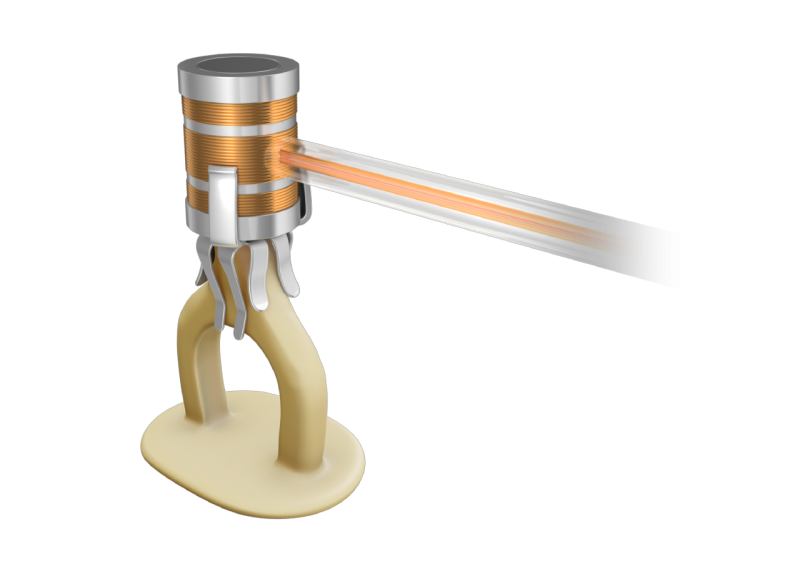 The Vibroplasty-CliP-Coupler provides a reliable and stable connection to the head of the stapes. The Floating Mass Transducer (FMT) directly vibrates the stapes to provide a natural sound quality. Ready to learn more about VIBRANT SOUNDBRIDGE? See how we worked with surgeons to optimize the surgical handling, performance, and reliability of the VORP 503. Want to get the latest updates right to your inbox? Make sure to subscribe to the MED-EL Professionals Blog.